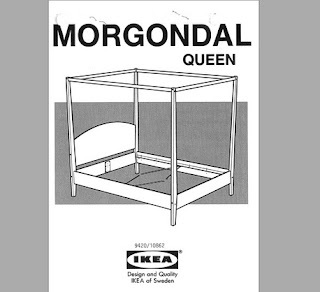 For the poor soul who's desperately searching for these, I present to you the IKEA Morgondal Queen Bed Frame assembly instruction guide (Copyright 1994) in PDF (564kb). 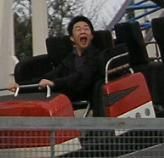 If clicking on the picture doesn't work, here's the link to download. Thanks for these MORGONDAL instructions, Tim. Visiting from Kitchener, Ontario, Canada. Got the bed together but am missing 2 x #03716 and 4 x #03718 to fix the centre metal beam so I can support the mattress base. Ah well, I'll work something out. Glad these were of help to you, Nik! Perhaps you can visit your local IKEA if convenient for some spare parts? At the IKEA nearest to me (Coquitlam), the "Returns" department area has a wall where you can help yourself to extra screws, pegs, etc for free.